There is no silver bullet to always selecting perfect tenants for your rental properties. However, having a consistent and reliable process greatly improves your chances of keeping your investment properties in good shape and occupied by tenants paying rent on time. People that are slow or have trouble providing this basic information are not good candidates for tenants. You could chose to continue the application process but might be wasting everyone’s time. Do they show up on time or will they be tardy with the rent the same way they were for the appointment? Take notice of their personal appearance. Do they make a good first impression or will they keep your property in the same disheveled shape they keep them self? Same thing with the car they drive. How old is it? Is it in good repair? Is it clean and neat? Is the prospective tenant respectful and have good manners? Did they wipe their feet before walking in? Did they smoke inside? Do they allow children to run amok? Does the applicant ask appropriate questions or point out minor flaws indicating they’ll be trouble in the future? Are they prepared to fill out the application and pay a deposit or are they disorganized and wasting the time of you both? 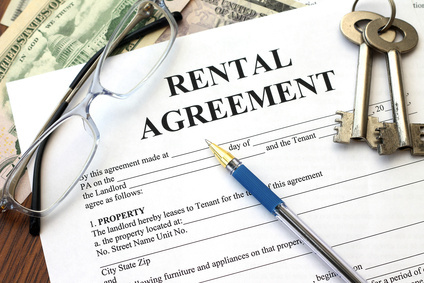 Be sure to use a thorough rental application and collect a credit or background check fee along with a deposit to hold the property. If the prospective renter takes the application to fill out later, be sure they understand you may accept another tenant before they return the application if they didn’t pay a deposit. Review the application thoroughly, looking for potential problems and inconsistencies. Check their references. Once you approve them for the lease, set another appointment for the walk-through inspection and lease signing. Be sure to tell them how much money to bring and if it needs to be in cash, money order, certified check, or something else. Of course, you need to have a quality lease that specifically covers your requirements for the property. You need to continue qualifying the prospective tenant right up until the time the lease is signed. Details are good during the walk-through inspection. Pictures of problem areas are even better. When it comes to signing the lease, read it out-loud to your new tenant to be sure they understand what it requires of them. Have them initial important sections such as the rent amount, the day of the month it is due, and any nonrefundable deposits. Following these easy steps almost guarantees you’ll have a quality tenant and avoid landlord troubles down the road.